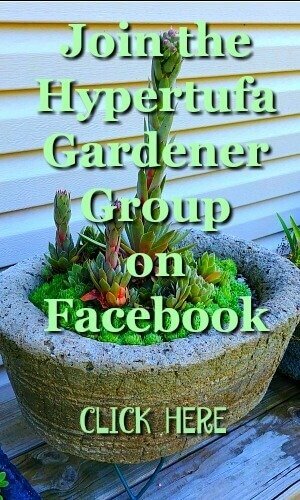 I have a lot of hypertufa planters! How many is too many? One day I may find out, but so far, I just want more and more. I love them all and I am always looking to make another one, so it is no wonder that I have as many as I do. As I write, I have more curing and waiting to be planted! It seems that I always have another idea of a shape or container to use as a mold. Then when I use it and the shape is so awesome, I just have to make more. I make some small ones. 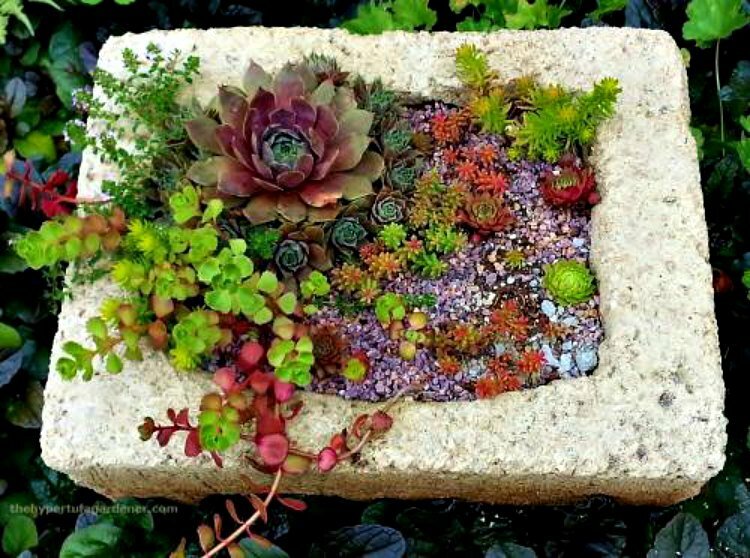 These are for the smaller areas like a porch rail or for tiny bits of thyme. 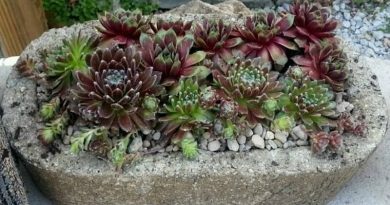 I have even planted them up with one single sempervivum and waited for it to make more chicks before I transplant and start the process all over again. And then some that are very large. I really am partial to the large ones these days. 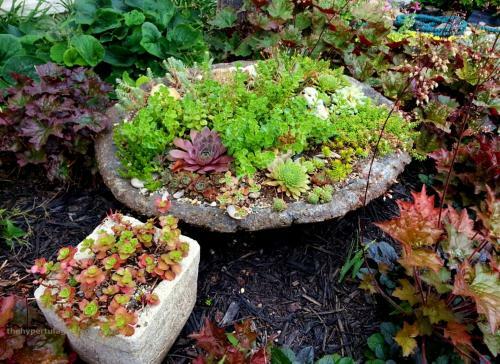 They make such a great garden bed to plant all kinds of succulents which spread well…..sometimes too well. This one is my favorite at this time. 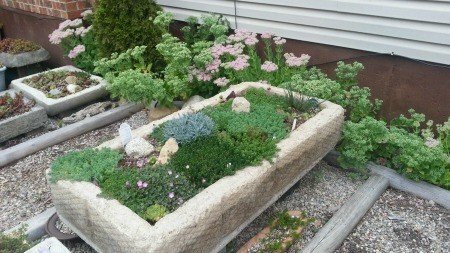 I have pinks, all kinds of sedum, and my erodium. Still disappointed that I cannot get it live through an Ohio winter. 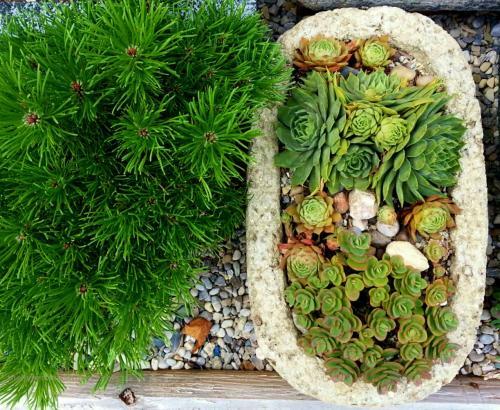 Since I have so many, I can put them all over the garden area, and I think they mingle well with the other plants. I have some sitting around a Mungo Pine and I love the contrast of the colors. I have some arborvitae that look really nice too. 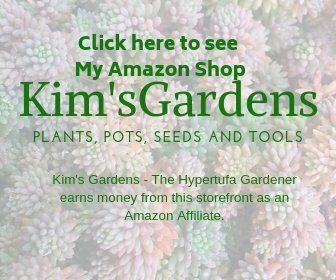 In the middle of my garden, I have a Sweet Gum tree and I was told it is the one without any little prickly balls growing on it. So far I have not seen any and it has been growing there for several seasons. So it seems I got correct information. I hate to be bamboozled. There are many shapes and size, and each time I make one, I think “Oh this one is my new favorite.” But later when I make more, my favorite list just gets bigger and bigger. I shouldn’t try and decide on a favorite, I guess. 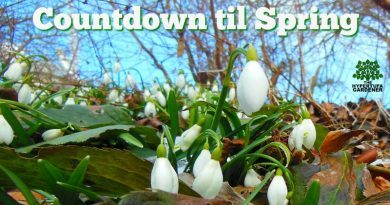 They are all special in certain ways depending on the size and look I am going for in the garden. I don’t buy planters at all, because I don’t need to. I can make any size I want, and any shape. 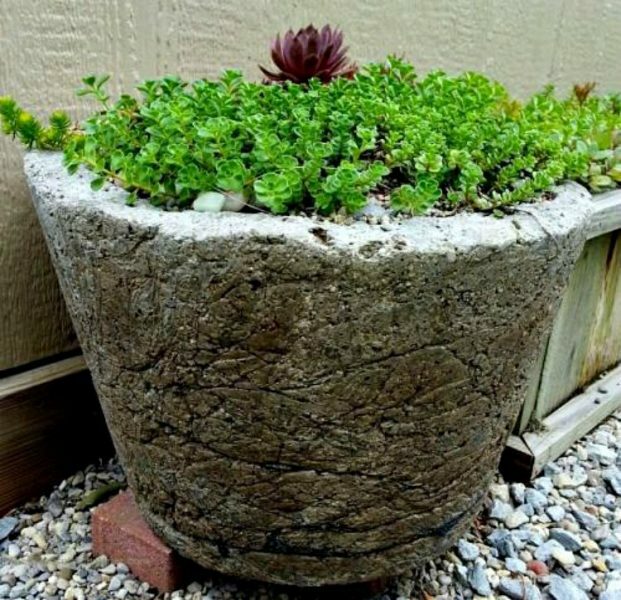 That’s one of the best things about hypertufa planters. Whatever you want, you can just make it! 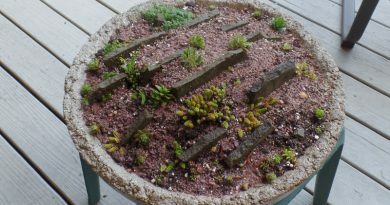 My draped hypertufa containers were really different, so I am trying new techniques. I hope to have some new things soon. 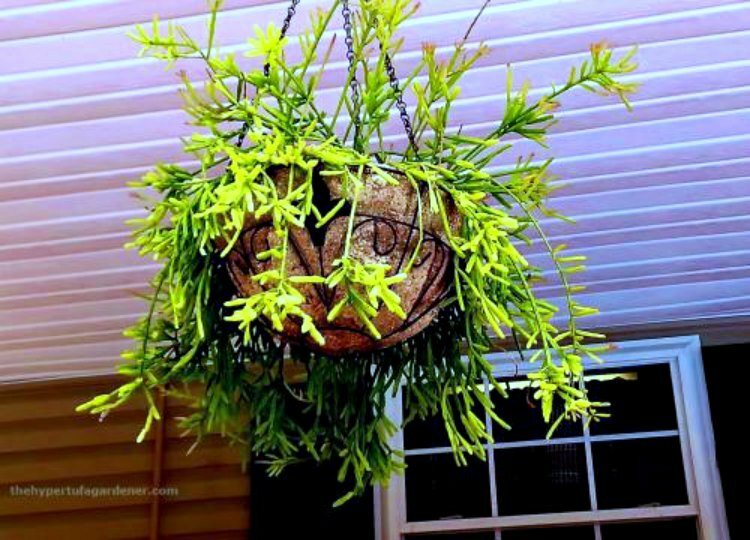 The hanging hypertufa planter has worked well this year. 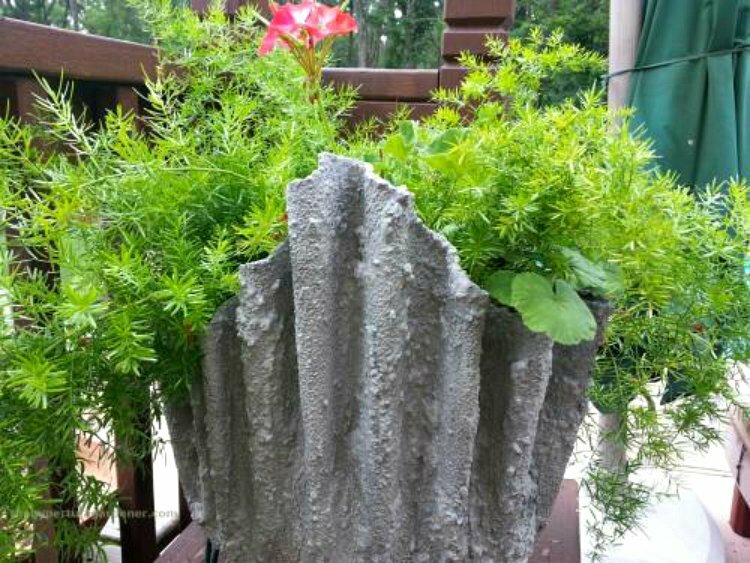 It holds the moisture well and just needs water like the other hypertufa planters. 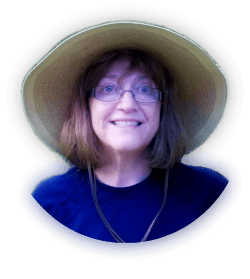 Doesn’t dry out like the previous coconut fiber liner did. I still have not had the mistletoe cactus bloom. Maybe later this year? or next? I love the box-shaped cubes. Another favorite. The thyme is growing all down the sides this year. This is one of my most colorful combinations. I have used prints and closeups of it on many of my Facebook images. Catching it at the right season with the prettiest color is a lot of fun. I am going to go out today and use another mold to make something different. Thanks for checking this out. And have a wonderful day! 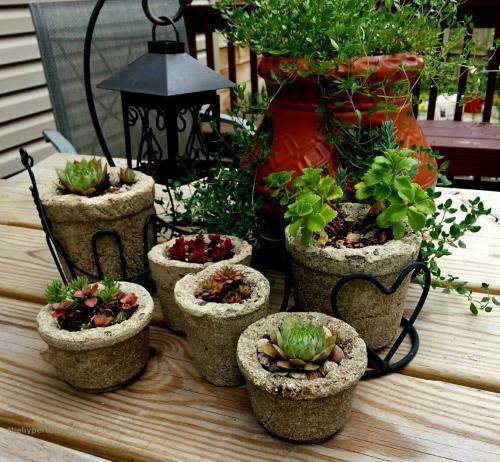 Make yourself some hypertufa planters. You will be hooked! 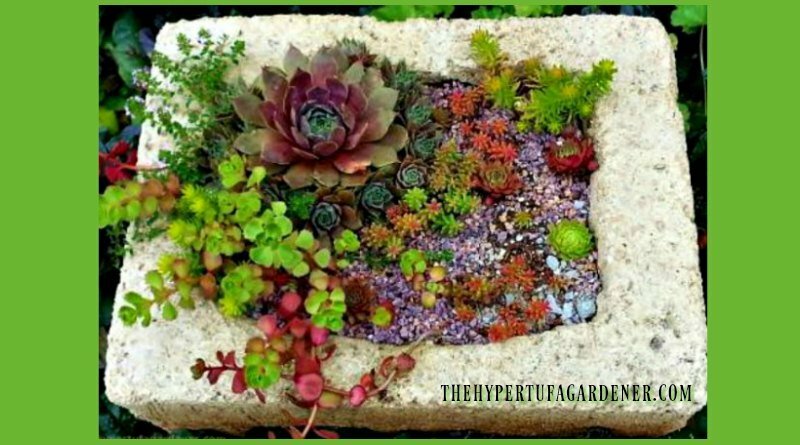 ← I NEED A Cement Mixer – I Have Some Large Hypertufa To Make!